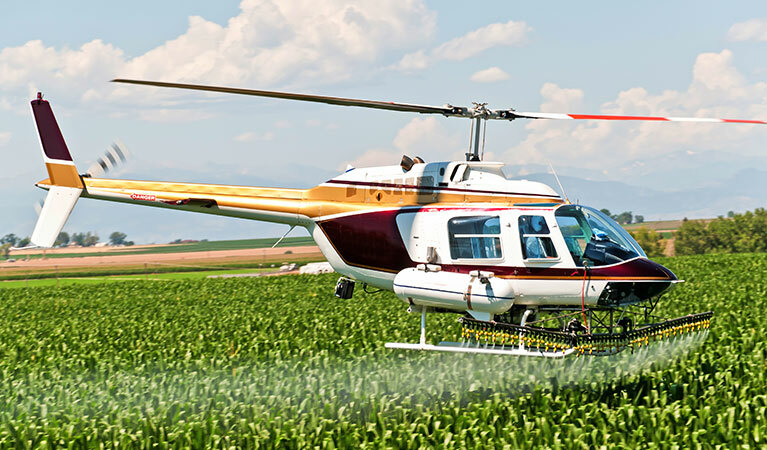 Learn more about how helicopters can benefit your agricultural operation in Illinois. Find yourself ahead of the curve and stay there, with aerial applications in Illinois facilitated by industry leaders in effective, affordable aerial crop services. 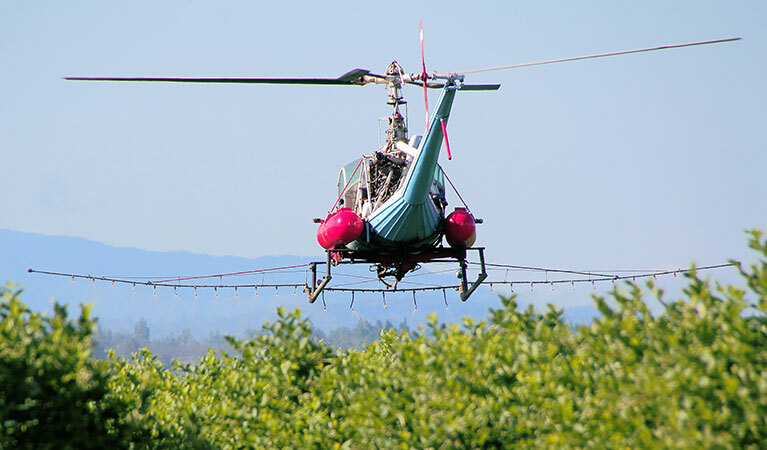 With the unrivaled access to your crops that a helicopter alone can provide, your aerial application operations are completed in a fraction of the normal time. 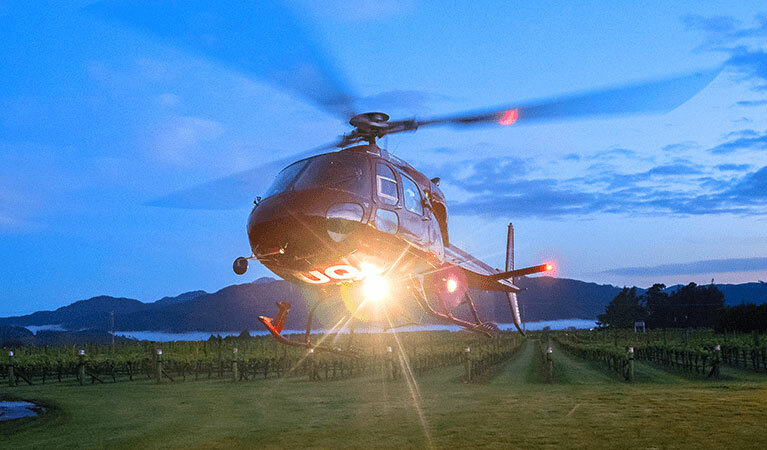 Professional AG-helicopter providers make world-class aerial application procedures into a routine undertaking, the perfect crop package to benefit your operations. Expert pilots provide top-tier aerial application by helicopter, in an Illinois environment conducive to holistic crop success. One of the country’s leading crop providers, Illinois exists as an ideal setting for your aerial application endeavors. Characterized by lengthy seasons of temperatures optimal for flight. Corn accounts for more than half of Illinois’ total crop output, in a state that also exports heavy amounts of grain, wheat and oats. Welcome to a state typified by rolling hills and farm-rich lands, the Land of Lincoln that stands to gain from your employment of industry-leading aerial application services. Farmlands exist beside forests, wetlands and graded topography, with crops ready for expedited application efforts. From crop surveys to dry and wet spraying, FairLifts can offer you more options for aerial application in Illinois. By using helicopters for your crop needs, you are choosing a more accurate, even coverage for your fields. Helicopters are much faster, have less of an impact on surrounding crops or roads, and provide more penetration of the crop canopy. With so many benefits as well as saving you time, gaining you profit and assisting in production of higher quality products, there is very little else to decide other than when you’d like for the pilot to come to your farm. Take a look at the options below, while these are the most popular we offer customized scheduling for specialized needs as well. Crop dusting reaches a new level of proficiency, when you put an experienced agricultural helicopter to work on your crops. 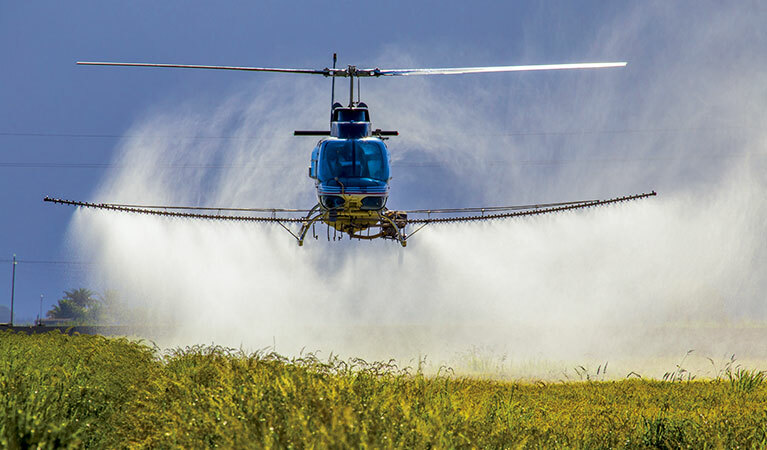 You’ll not only be able to complete crop dusting in a fraction of the traditional time; comprehensive helicopter methods for crop dusting mean that you’ll be able to dust more crops than ever before, protecting a higher percentage from threats that could compromise their survival. Apply fungicides, fertilizer, watering and seed spray applications with the effective solution by air. Make sure that when it comes to the eradication of pests that could get between you crops and their success, you go with the trusted industry solution. A professional aerial agriculture pilot can put a straightforward aerial approach to good use, removing threats to your crops like mosquitoes and other nuisances. Render airborne pest problems a thing of the past, with the easy solution that’s only a helicopter away. Mosquito and pest control has never been easier than by air. Each season, natural inhibitors threaten the productivity of your crops. You can provide yourself the peace of mind you deserve when it comes to the survival of your crops, when you employ a professional helicopter operator toward the removal of brush and assorted weeds. Make sure that the only growth in your fields is approved as certified crops, while brush and weeds are given the boot. Chemical applicants make short work of assorted weeds and brush, best applied from above. Don’t allow the threat of colder temperatures to compromise your total crop output. 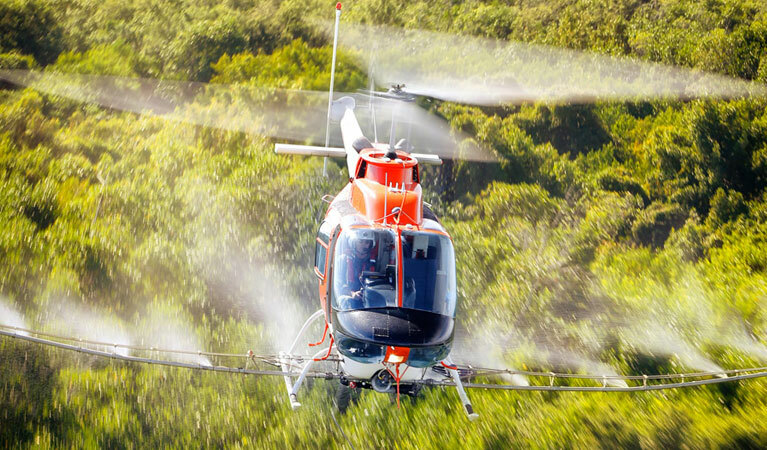 Instead, ensure the protection of your crops in providing industry-leading frost prevention and treatment techniques, applied exclusively by air with a certified Ag-helicopter pilot. Your crops require this treatment series in order to survive the coming frosts, and no one understands this concept better than the pilot. Temperature-specific treatments are as cutting-edge as they are affordable, always allowing your crops to survive until harvest. Experts are standing by to get you a fast quote for your agricultural job in Illinois! FairLifts works with the most professional and experienced pilots and operators working in the agricultural aviation industry. Each of our agents is well-versed in assisting farmers in producing higher and better quality yields in Illinois and can assist you in your own growth. Simply contact us seven days a week to discuss environmentally and neighborly crop dusting and spraying this next growing season.